If you’re considering a career in the medical field, a patient care technician may be a viable option for you. Becoming a patient care technician opens a world of possibilities because PCTs work directly under RNs. 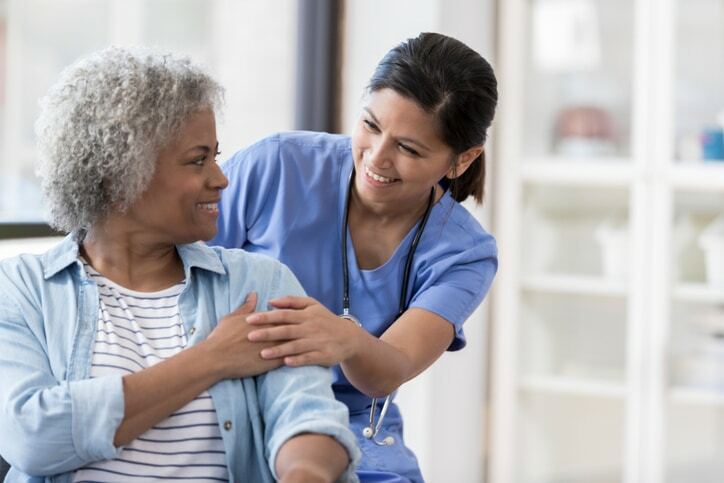 Wherever you find nurses, you’ll typically find patient care technicians, whether in hospitals, doctors’ offices, residential care facilities, or other healthcare facilities. What are the responsibilities of a patient care technician? The duties of patient care technicians depend largely on the facility in which they work. Those who work in hospitals or doctors’ offices will have different responsibilities than patient care technicians in long-term care facilities, but all PCTs care for ill and injured people under the supervision of doctors and nurses. In a hospital setting, they might take patients’ temperature, blood pressure, respiration, and pulse, prepare and administer medications, collect lab specimens, monitor patients, help with tasks like bathing, dressing, and eating, and record medical treatment. In a doctor’s office, there might not be a need to help with bathing and other such tasks, while in a long-term care facility there would probably be more of that kind of responsibility. PCTs sometimes take patients in wheelchairs to their appointments, or help provide emotional support to patients during times of crisis or need. Patient care technicians are trained as certified nursing assistants with additional training as EKG/phlebotomy technicians. They have the skills to help patients with medical devices and can draw blood and perform EKG tests. They’re an invaluable part of a medical team and can choose to use their PCT training as a springboard to advance into other medical professions. If you are a certified nurse aide, you need only take the EKG/Phlebotomy training at ABC to become certified as a patient care technician. Please visit our EKG/Phlebotomy page at www.abctrainingcenter.net for details. If you’re ready to pursue a career as a patient care technician, ABC Training Center can provide the training you need. A healthcare training institute that NYC students trust, ABC Training Center been serving students in the New York City area since 1972. We provide high-quality, nationally certified programs that prepare students for meaningful work in any medical setting. Continue browsing to learn more about our medical training programs in New York, or call us at 718-618-5589.